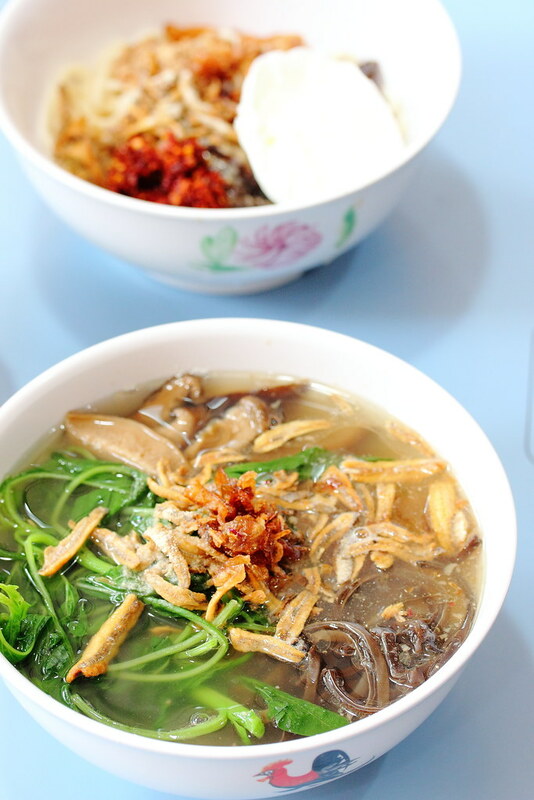 Grandma Ban Mee (老妈子板面) at Amoy Food Centre is one of the newest addition to the food centre. It starts its business around December 2015, last year. I was in the vicinity the other day so I joined the queue to give the new stall a try. 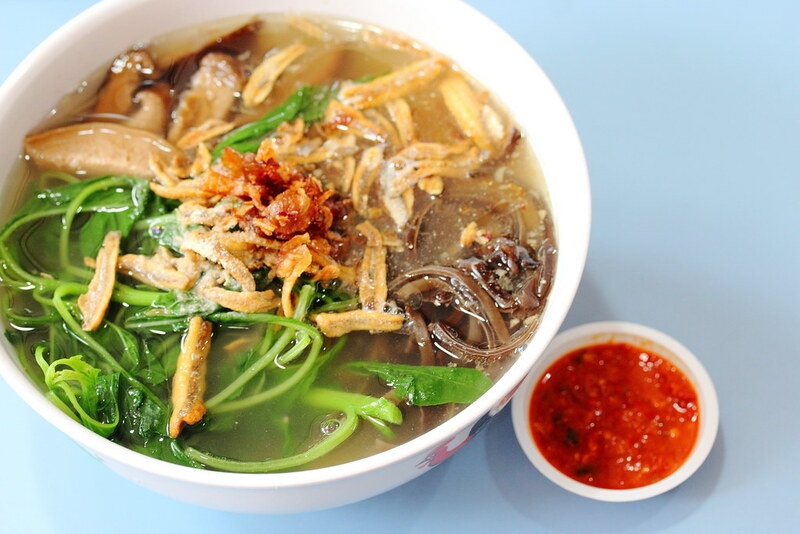 I had the Ban Mee Soup ($4) which is quite value of money with the bowl of noodle filled to the brim with various ingredients such as mushrooms, ikan bilis and vegetables. 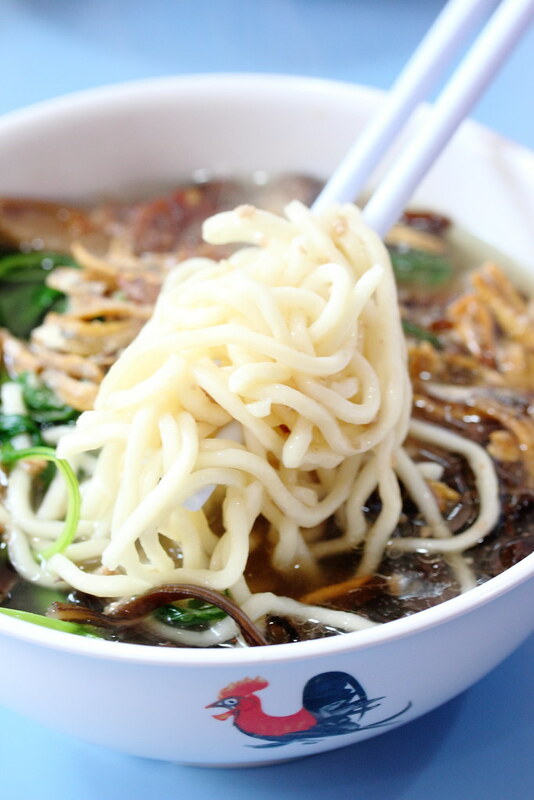 The texture of the noodle is actually not bad, soft and has a little bit to it. Unfortunately, the soup lacked the depth and robustness to match the delightful ingredients. 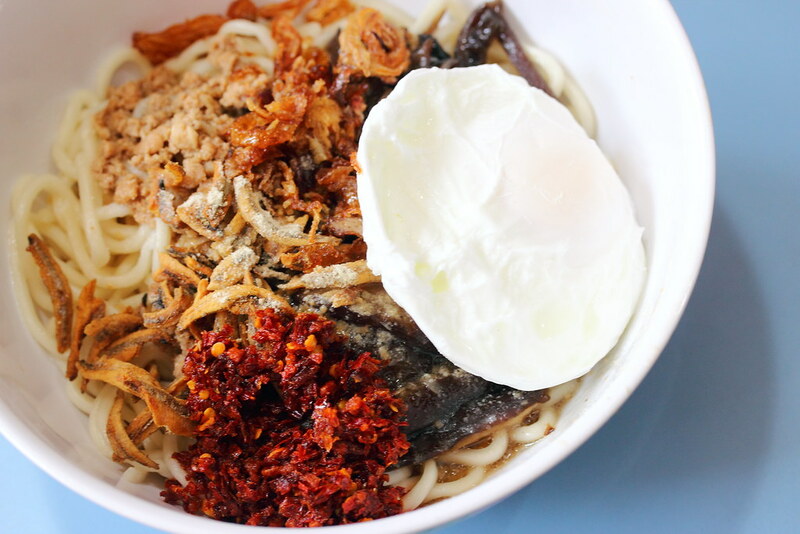 The highlight at Grandma Ban Mee has to be their Dry Chilli Ban Mee ($5) which comes with minced pork, egg, ikan bilis, mushroom, fried shallots and most importantly the signature dry chilli. Give it a good toss to give the noodle a good even coat of the hae bee (dried shrimp) chilli, for a elevated fiery kick and lift in flavour. 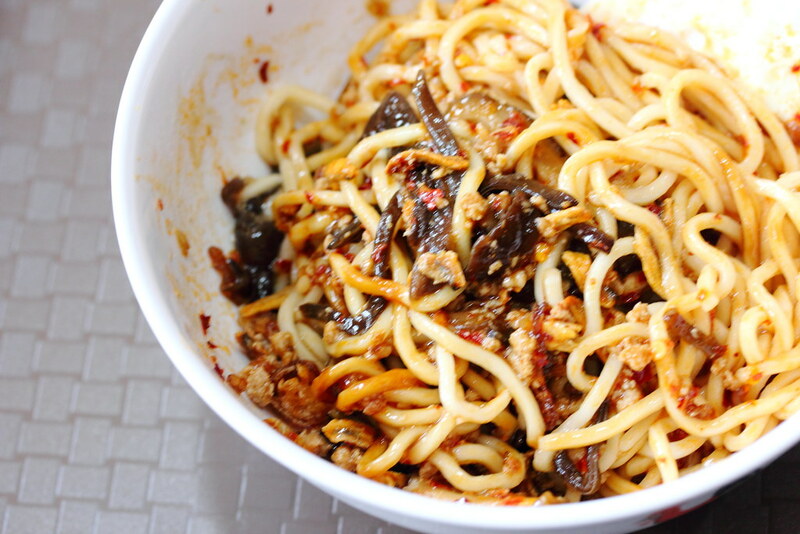 After checking out Grandma Ban Mee, I would recommend trying the dry chilli ban mee. If you tolerant for spicy food is not too high, I would advice you to get a drink first. For the soup version, I think you can give it a miss. Great looking dishes. What camera do you use? Great pictures. I use a Canon 600D for this picture with a 60mm lens.